Our #1 bestseller. 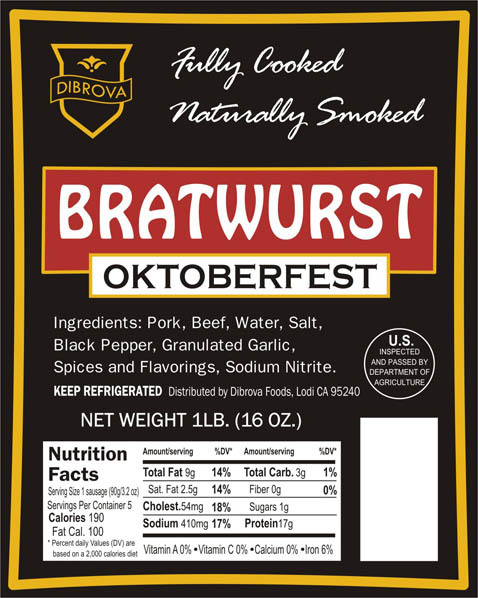 A true German-style bratwurst - coarsely ground beef and lean pork with garlic and black pepper. Mild and flavorful… and only 9 grams of fat per sausage! Excellent on the grill, served with a spicy brown mustard or roasted in the oven with new potatoes and sauerkraut. Tender and juicy. No msg, gluten-free.